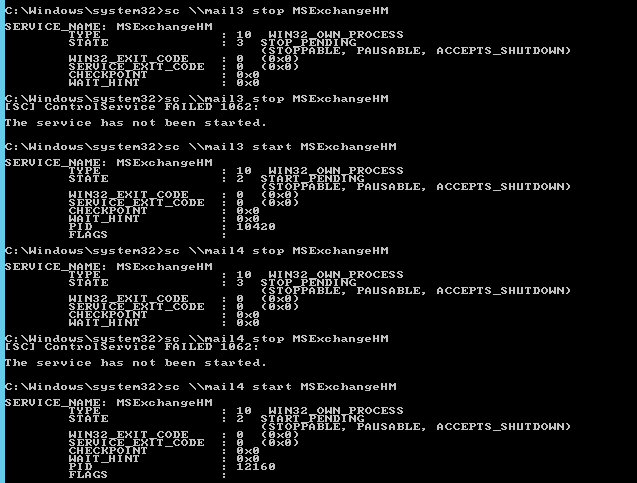 Health checking your Exchange Environment is important task for any administrator. Specially for that there are special Health Mailboxes created in Exchange that provide useful information about current health of the infrastructure. However if something is corrupted with any of the health mailboxes the results may be corrupted as well. Since we've been having some errors in our Exchange infrastructure we have used get-mailbox -Monitoring cmdlet just to find Health Mailbox has been corrupted message with two of our Health Mailboxes. 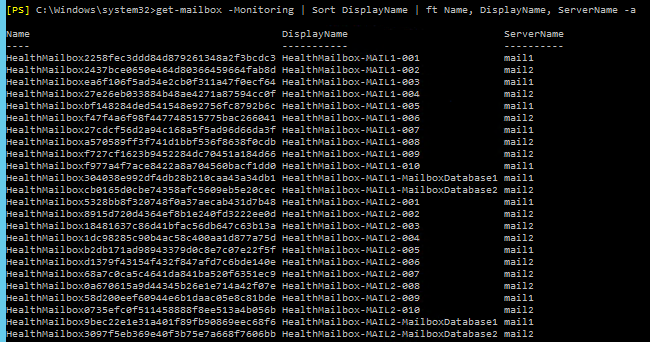 In our system we've noticed that two of our Health Mailboxes on Server Mail3 and Mail4 are corrupted. It's actually safe to delete all Health Mailboxes (to be sure no other issues are in place for other mailboxes as well). To recreate them we just need to restart Microsoft Exchange Health Manager service. We simply choose Restart and wait for the results to kick in. After restart is done, wait up to 5 minutes and recheck Active Directory. Mailboxes should start being created and available for Health Checks. It may take a while for all Health Mailboxes to be populated. You may also want to restart the Health Service on all servers that host Mailbox Databases. Simply running multiple stop/start commands with little break between them should help to automate this task across environment. echo "Wait for 10 seconds and run start command for Health Service"
After a while recheck your setup and see if all mailboxes are created. There should be 10 HealthMailboxes per each server with 1 or 2 Health Mailboxes per each Database. Since in our case MAIL3 and MAIL4 servers are only used for Lagged setup there are no additional mailboxes for databases stored on them. 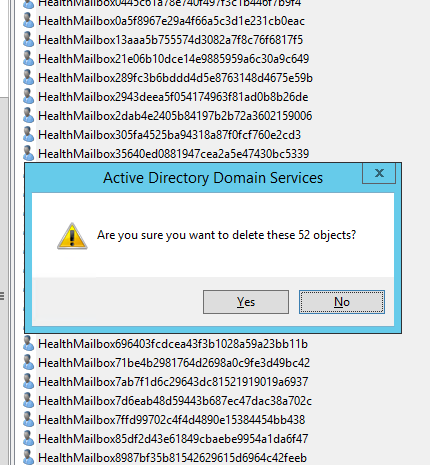 Having all Health Mailboxes in proper state is important to keep your Exchange 2013 Healthy.